The next two days we spent indoors, being introduced to members of the organising team and learning about G D Goenka and it’s clubs and societies. On Monday afternoon we heard about the Cultural and Political History of India from a gentleman who had previously worked for the BBC. His talk was integrated with some clips from a BBC programme about India, which helped us to gain context to what he was saying, and also showed some insightful scenes from tribes and villages across India. Later on that afternoon we watched some children from AmarJyoti dance! Dressed in beautiful saris, they performed a folk dance from Rajasthan, one of India’s statesa. It was inspirational to see disabled children performing together, many who have faced hardship in their lives. The photo shows their dance, and the colourful outfits! (http://www.amarjyotirehab.org/). 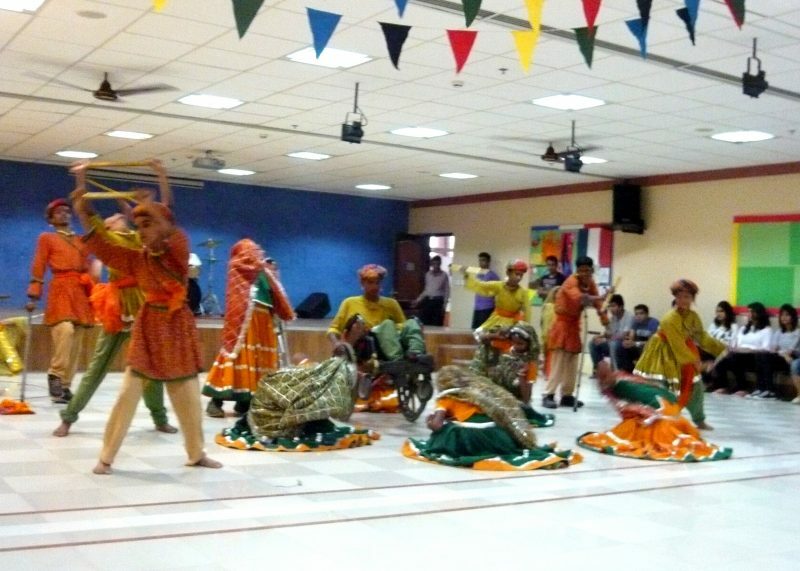 Their dancing was followed up by some performances from both the G D Goenka and Lancaster students. We had a more formal dinner that evening, whereby we sat in specific seats and had the chance to discuss culture and ask questions with students and members of staff. Myself and two of our Lancaster students asked about different foods, we compared English Indian curries with Indian curries. It was intriguing to hear that the students had not heard of some of the curries as they have been invented over in the UK. The students also recommended Bollywood films that we should watch! Tuesday morning we spent some time listening to a Neena Kumar, the commissioner of income tax. She talked about the role of women in Indian society and how women can become more empowered within the cultures that exist within India. It was really fascinating, and there are so many issues and things that potentially could be improved, yet so many barriers. We were tasked to work in groups to conduct a PESTLE analysis, followed by a SWOT, which we then presented to the other groups. We used the information we had been given and through speaking to our Indian organisers. After a talk and discussion about human rights later that afternoon, some of us went off for some dance lessons. 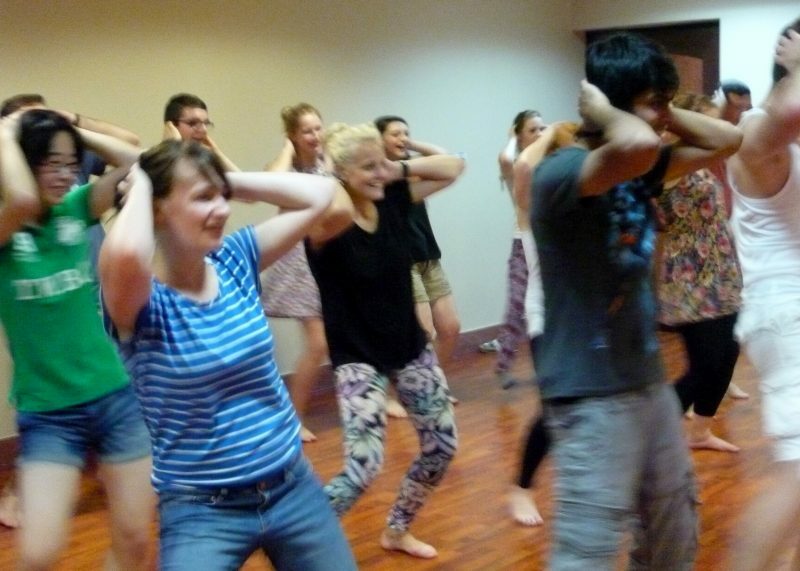 It was Bhangra style, and we taught by a very passionate and enthusiastic instructor. It was great to get involved and get dancing, I think we all had such a fun time, and we were so sweaty by the end of it! It’s been great to hear so much about India, and experience some of the culture. I think everyone is really looking forward to volunteering over the next two days.